Murder, serial killers, friendship and love. Its all on the line. Darby McCormick is a serial killer hunter, when her friend and federal agent Cooper goes missing, Darby finds herself in Montana. While searching for Cooper she stumbles upon a serial killer who has terrorised America for decades. Can Darby find Coop alive? Can she escape in one piece? I have been writing book reviews for almost two years now, as my avid readers will know I rate books from one to five stars but, I have what I call a Diamond rating. I have never given this rating to a book in the two years that I have been doing my reviews. That being said I am excited to say, that the first book of the new year and I get to give it a diamond rating review. 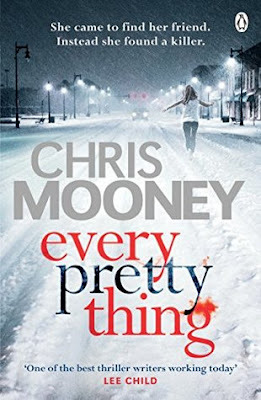 I could not put this book down, when I started it I didn't realise it was number seven in the series, I found I was still able to read and really enjoy this book though. I cannot wait to read the rest of the series. This book kept me up all night, I kept telling myself just one more chapter and before I knew it I had finished the book. I loved the plot, the characters, I loved everything about this book. I don't have a single bad thing to say about this book. I found i got really invested in wanting Darby to find Cooper and to be able to tell him she loves him. I was also not expecting the twists at the end which just made the book even better in my opinion.